People are facing lot of hazards in checking their land details in government offices in Karnataka as it is very time consuming process. 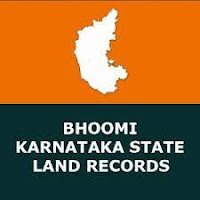 A revolutionary reform taken by Karnataka government in making all the land records available in online so easily by logging into Bhoomi RTC Government website. People can login to this website anywhere anytime for view of agricultural documents for enabling easy verification's. In this portal all agricultural land details are updated by Revenue Department and portal is maintained by NIC Bangalore. People of Karnataka can use of this service to view their agriculture land details using digital technology by sitting at home or anywhere you like. It is a most advanced technical and innovative facility provided by Karnataka government which can can be easily downloaded all the land document from anywhere anyplace and anytime. After entering or selecting required details it gives full information of our land like survey number and other required details. All farmers can get copy of land records (RTC/Pahani) by providing land owner name and plot number at any government authorized offices. People are not needed to visit taluk offices for such records anymore to get certified by authorities, which saves lot of time. RTC is nothing Records of Rights, Tenancy & Corps. In Karnataka state ROR is also known as Pahani or RTC book which is very important record as it contains owners name, area, soil type, Land Liabilities, Hissa number, Survey number, Land revenue details, Cultivation details and Khatha Number e.t.c. You can collect the Pahani document from any tahsildar office by paying Rs.15/- as a one time charge. Now a days computerized RTC's are valid for any legal purposes which are recognized by Karnataka Government and manual RTC's are not valid which are not recognized any where. You can easily verify RTC online in "Bhoomi Karnataka" website providing by required information. 1.Go to the 164.100.133.91/Service/RTCHome.aspx (or) click the below link to access. 5.It will open another window with all information about your agricultural land.